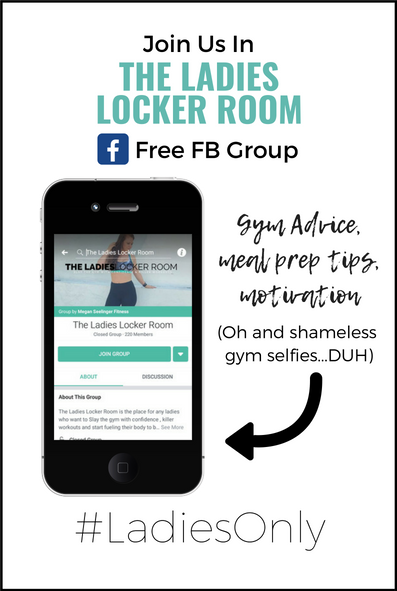 If you want to slay your workouts you have to feel confident at the gym in the first place, which gymtimidation really seems to be one of the main reasons ladies aren't getting results in the gym. So I'm going to give you my 3 best tips to help you walk in the gym confident, get in a killer workout each time and get results faster! The worst thing is walking in and wondering around just doing a few random exercises not really having a plan. Doing one exercise then sitting on your phone, trying to figure out what to do next is not productive and to be 💯 is the exact reason you aren't getting results. • The most effective way to burn fat is high intensity interval exercise routines💪🏽, so you need to be lifting heavy, getting your heart rate up, and limiting rest times in between sets. •The Only way to do that is by having a workout plan in hand, so you can walk in start your workout and keep that momentum throughout your entire workout. Leave the gym every time knowing you couldn't have pushed any harder. Every Sunday (or whenever your week begins if you have a different work schedule) take the time to sit down and plan out your workouts for the week. I'm serious it WILL MAKE A DIFFERENCE. Look up workout plans online, write them down and look up the proper form for any exercises you don't know. I've put together a 5 Day Workout plan that you can download for free! Each workout will incorporate weight training, mixed with high intensity intervals🏋. Yes ladies, the best workouts for the fastest results will include lifting and I promise you will not look like a man! Or I can help you plan your own workouts for the week. I've created a Free weekly workout planner which maps out how to design a workout plan for women, what type of exercises to do each day and how to create circuits that incorporate lifting and high intensity intervals for faster results. What if it's super Crowded? Depending on the time that you go to the gym it might be super busy which throws another wrench into things😳, because the equipment you were planning to use is not available. The best solution to this find one area like a cable machine, or corner near the free weights that you can do several exercises with the same equipment. Head phones and my gangster rap pandora playlist blasting- I would seriously drive all the way home to get my headphones if I forgot them or sit in my car for 20 minutes to let my phone charge before I workout because I get my best workouts in with music to pump me up! Pre-work Out- I don't take any supplements except pre-workout. unfortunately it takes some trial and error to find one you like, but don't jump in to buying one, most places will give you samples to try so you can find one you like. Some of them I hate the way they make me feel, but once you find the perfect one its a game changer and you'll feel like super man at the gym. Before you head in the gym blast some music in your car, take your pre-workout, look over your plan, have a clear picture of why you're there, visualize you reaching your goals and enter the gym determined AF every single time! I hope this is helpful and I hope you have the best week of workouts ever! As always please leave a comment below or message me with any questions, I'd love to help you out!